The Incredible Hulk Epic Collection: Ghosts of the Future Review – AiPT! Ghosts of the Future is a must have for Hulk fans, but the ’90s wackiness may dissuade some readers. The Incredible Hulk Epic Collection: Ghosts of the Future collects some of the tales towards the end of Peter David’s lengthy tenure with the character (his run began with issue #331 — after also penning issue #328 — and ended with #467. This book collects #436-448 along with issues from other titles). The more iconic stories that helped to solidify David as THE Hulk writer have already come and gone by this point, and while there’s still good stuff here, readers will also notice the touch of Marvel’s larger publishing plans as the story shifts to accommodate the “Onslaught” X-Men crossover. The volume starts off well, with the Savage Hulk Special that sees talents like Dave Gibbons, Jeph Loeb and Tim Sale take on the more violent version of Hulk. After this extravaganza, readers get to dive into the titular “Ghosts of the Future” storyline. David brings in the character of Matt Talbot, nephew of longtime Hulk enemy Glenn Talbot, who continues his uncle’s hunt. The “Ghosts of the Future” story continues to delve into Bruce Banner’s mind, including an issue written by William Messner-Loebs in which Hulk faces off against Maestro. Peter David retakes the reins and follows Betty as she runs into a collective known as the Headshop. These are humans who have had their heads grafted onto android bodies by the Leader — and when they explain that to Betty, she reacts appropriately by laughing in their faces. It’s hard not to feel the strain between Peter David and Marvel’s larger plans as the collection goes on. There’s a weird ’90s “EXTREME” aesthetic that Peter David and artist Angel Medina are both employing and poking fun at. 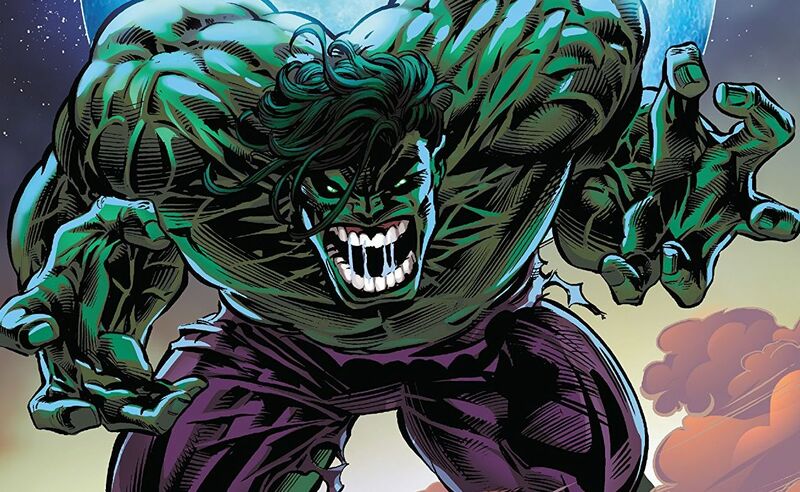 As you’re reading it, you can feel points where it seems like Marvel is trying to shift back to the “savage” Hulk persona, with David pushing back against it with the continued psychological examination of Bruce. By the time the collection ends, it feels as though the wheels have fallen off a bit. That being said, the book has its strong points. Penciler Angel Medina and inker Robin Riggs handle a lot of the art in the collection, giving the volume a consistent feel. Medina’s bulking figure for the Hulk has the feel of a steroid-injected bodybuilding giant, which contrasts nicely with the normal humans in Bruce’s life. The feather thin lines give characters a very fragile feel, which helps the sense of peril anytime Hulk or his enemies come busting through the walls. Ultimately, The Incredible Hulk Epic Collection: Ghosts of the Future is a frustrating volume. Hulk fans will almost certainly want to pick it up, if only to help complete Peter David’s definitive run. But while David still turns in some great work, as do artists like Angel Medina and Mike Deodato, this collection represents a dip in the storytelling from the highs of David’s earlier work. Readers looking to discover what made Peter David’s work on Hulk so iconic would be better off seeking out earlier volumes in the Epic Collection line or the Marvel Visionaries collections. However, if you’re a fan of the ’90s era of comics, this may be more up your alley. Collecting some of the later stories of Peter David’s historic run with the Jade Giant, The Incredible Hulk Epic Collection: Ghosts of the Future is a must have for Hulk fans, but the '90s wackiness may dissuade some readers. When Peter David and Angel Medina are allowed to do their own thing, the collection soars, especially in the titular "Ghosts of the Future" story. Angel Medina's artwork provides a consistent look throughout the volume. This volume is bogged down by what feels like editorial oversight and overall publishing plans. The "Onslaught" story is the epitome of '90s comics madness. Is Declan Shalvey teasing a Banshee series?